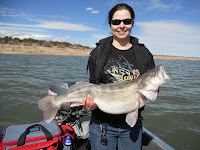 Lately, I've been thinking about all the joys of fishing, the outdoors, and mostly fish. Maybe its all the runoff that's delayed my canyon fishing. Anyway, as I was exercising my brain, I started thinking about the ways we anglers interact with our esteemed favorite species and had to pause. We net them. We bait them on hooks. We imitate their food with elaborate feathers, hair and plastic on hooks while fly fishing. 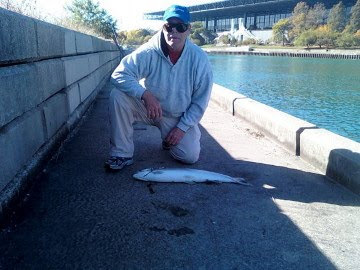 We imitate their prey on hooks - spinners, lures, flatfish, spinnerbaits and spoon fishing. Lets not forget we snag and spear them. So being a sensitive guy, I decided to try to think of some other form of interaction. Something fun for me and the fish. So I built this custom spinner called the XRStrike. This is a work in progress, but I intend to test it out as soon as I can. I'll use XRStrike in a game I just invented called Strikes n Spares. Maybe Fish Bowling or Fish Tag? Guess there's still time to figure that part out. Catching on? Oops, I meant Catching off? Anyway, here's how Strikes n Spares works. As you can see the hooks been replaced with a large split ring. Why you ask? The splitring gives the fish something to chomp into, without getting hooked. Will they spit it out or run with it? Game on! I get a point for each sighted strike and two points for more than one sighted strike in the same hole. 5 points for a confirmed same fish 2nd strike. No catch and keep. No catch and release. No catch, just Strike. My money says the large splitring ought to make a strike recognizable. Sound right? 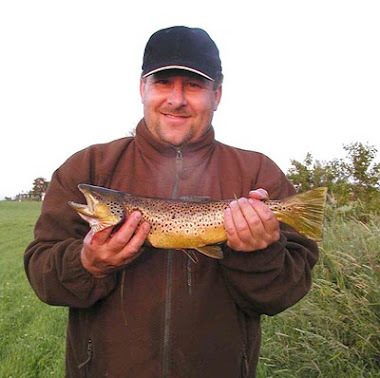 I get to wade and walk my favorite streams and rivers, improving my casting while enticing reaction strikes without the stress and time consuming landings of catch and release. What's the score going to end up at? I know it sounds radical, almost comical. Oh alright, comical. In any case, I know the fish will Strike and I'll get that enticing jolt and I expect with practice, we'll both enjoy the Spare part too. As the game catches off, with practice, they might improve their strike and run durations, and get in better shape. No photo ops, but oh well. I'm anxious to test whether I get multiple strikes from the same fish or not. What ya think? Spoof or Proof? Should I bring XRStrike along next trip to the water, or put a treble on it? If I form a pro Strikes n Spares team, guess what we'll call the team? How about the 'Fish Creek Spinners' LOL. Stop by Fish Creek Spinners Web Store and check out it's new format! Misery loves company, so I thought I would put together a post with a few of the tripwires I've encountered tying bucktails. Stop by Fish Creek Spinners Web Store and check out some of this handiwork and it's new format! I've always got to test the ditches before I learn to drive and since blogs end up searchable, maybe somebody can avoid problem rediscovery and mitigate some of these risks I'm mentioning. If not, I still needed to make these, might as well post something, right? You get the satisfaction of creating something yourself or showing someone you do have skills! The downside is that it can be a tedious and frustrating project, with several risks and pitfalls in the timeline. Add contingency, mitigate risk, and start planning Bucktail Version 2. You earn extra points for tenacity and persistence on this task. Also remember, in their finest hour, these bucktails will end up in a Muskie or Pikes mouth, (now that's a scary place). Primitive counts too. In my case, primitive counts a lot! I wanted to tye some custom multi-colors to match the painted body bullets I had available on Muskie spinners I was imagining. I tyed #1/0 and #2/0 trebles. Back to the pitfalls and trip wires. Muskie trebles are big and burly and the jaws on your fly tying vice need to factor the extra bulk. I switched to a different set of jaws and adjusted them to grab the 2/0 treble securely. I grab a single barb to hide its cutting edge if possible, but still the jaws need to open wide for these guys to be held and gripped. Wrapping a loose treble is not a fun job. Trebles do provide convenient channels between the hooks for laying the hair, but they're positioned for catching fish, not wrapping silk thread or feathers. The three sharp barbs are excellent cutters for silk thread. Tying trebles requires heavy thread for the job. I'm a wire twister these days, and I don't tye often. My eye hand coordination hasn't improved with age either. I found the #8 thread I had on a bobbin didn't tolerate a barb snag very well, and having a couple of these cutters lurking around the hook didn't help the job at all. You have a few hundred wraps to get a decent sized bucktail and a lot of half hitches to get to end of job. Buy tough thread for this job, broken silk slows you down and its no fun. I've found 6/0 silk works pretty good, but there are likely other thread materials, better for the job, Feel free to comment. After a few (bucktails that is! ), I found myself doing the dipsy doddle around the barbs while wrapping. If I slowed down, I could weave around the barbs and wrap further back on the shaft, leaving more room for finishing the head. Suggestion - Wrap and glue in stages. Bucktail is bulky. The hair is hollow and buoyant which is great in practice, but that bulk compounds after six sets have been wrapped and stacked up on the shaft. Tying a set of three further back on the shaft, avoids a big knot of hair to be trimmed and finished when you're calling it done. I was doing two color bucktails and found I was able to tye them quicker and better if I did a three channel round, did a quick finish and a few drops of head cement on that round before adding the second color. In my case, I cut the thread at this stage and removed the hook to let the cement dry. Then continued to tie a few more through this point before adding the second colors and finishing them off. By tying the first round further back on the shaft, the final finish had more room and wrapped easier. Matched up the custom bucktail with my painted bullets and will call it a good job, well done! This Dinnerbell prism ought to look great in the water. Looks good, sounds nasty. I'm a fish, I'm gonna STRIKE! It's my DNA! Symbiosis (from Ancient Greek sýn "with" and bíōsis "living") is close and often long-term interaction between different biological species. Sounds like fishing to me! Long-term, try different things, evolve! As time passes and fishing experiences accumulate, individual patterns are shaped by our fishing 'results'. Favorite methods, brands, and colors surface after time spent fishing. Let's not forget the roles that fish play in this symbiotic circle of performance! Fellow Angler (and FCS customer) Jim Spurky put his thoughts on these subjects on paper. (It aint real, if you don't write it down!). Here's his commentary on fishing spinner colors (my thoughts might follow). Thanks for writing this up Jim! Spinner colors....a great debate in some circles, not so in others. Choice is in the mind of each fisherman or is it the fish? As luck would have it, I spent last summer fishing and job hunting. As a result of the extra time on the water, I've been able to put alot of my theories to the test. 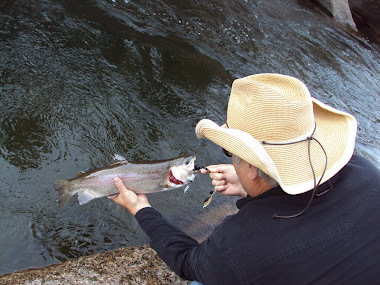 Most of my fishing is done in small streams in crystal clear waters and I have a small select choice of colorings. These seem to be the winning ticket 99% of the time,when I am out on the water. I'm a tad set on certain spinner manufacturers due to their shades of color. Pather Martin for their blaze orange bladed spinner, and their purple/blue bladed one, the other choice is........what else Fish Creek spinners. My favorite FCS is the gold spin blade with black body, next would be the gold swing blade with the red/orange body, and finally the black/gold bladed hotrod spinner. 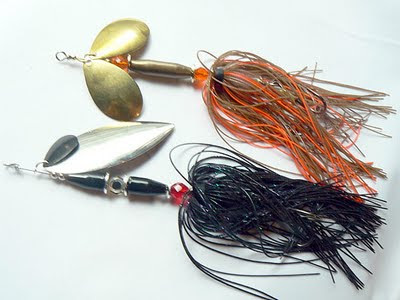 For Panther Martin, the orange has been my goto spinner in stained water, it rarely fails me in these rough conditions. The purple seems to work great in late spring/early summer. My FCS seems to work all year, and believe you, me, they get a thrashing workout. 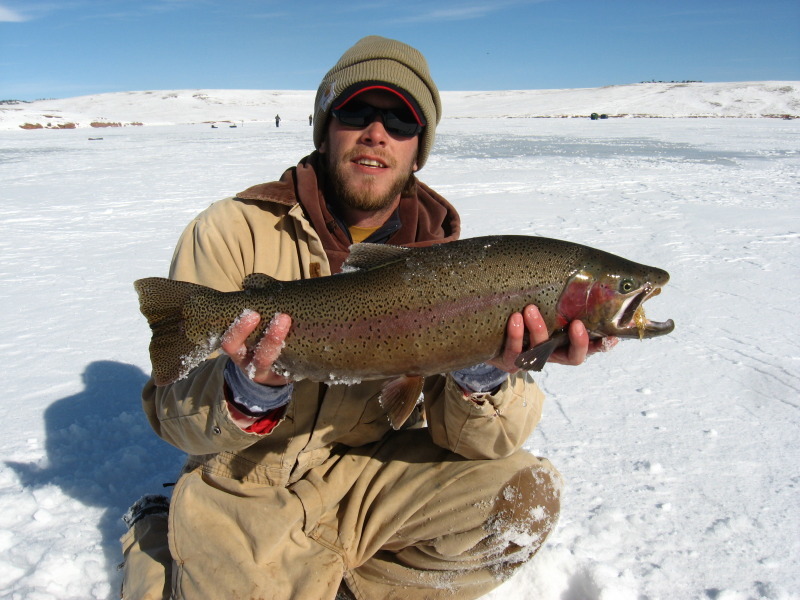 In my unoffical study, seems that trout (and fallfish) both LOVE black/gold, in most any conditions. The red/orange/gold works great on all other species. I seem to hit alot of rock bass, and smallies on this one. The stream's shaded area seemed to be the areas where color and speed really seemed to matter. Location, what is in the stream, flow, competition from other species, fishing pressure, and of course cover, are other variables I've bumped into, literally! My favorite waters see alot of fishing pressure. These are where the black/gold seems to shine....just ask troutrageous (now T!) on his blog about our trip to Trout Run. I believe other color combos work and have made many a fisherman happy. The colors I have listed are MY favorites, your's may differ, and to me thats cool. I believe in using whatever makes you happy and gets you your fish....to the naysayers on color, heck it is still a partially free country....ENJOY THE WATER! Remember if you brought it in, PLEASE take it out with you! Here's my two cents and elaboration on Jim's color points. Jim fishes cold clear water in Pennsylvania. 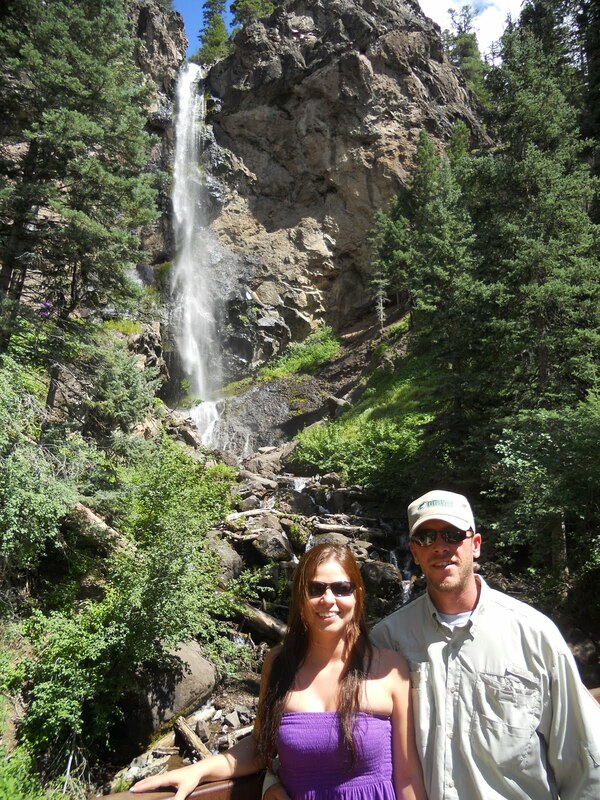 I like to fish in Colorado, in similar water. Black and Gold reliably works for us both across the land. Black silhouettes against the surface in clear water. Always have a few. Jim mentions Swing blades on all his choices. Let's talk Armadillo's first. The Swing blade rotates close to the spinners body. In the case of the Armadillo, the friction discs come into play. They collide with the blade during rotation and roll the glass beads. Even though black, the many smooth glass facet surfaces reflect light as they roll. Noise and Reflection, Good! I have excellent luck on Brown Trout with the Red and Orange. I've convinced myself it might be taken to look like a crayfish, but who knows what that trout thinks. In my experiences, I always keep them handy too. That said, when water is warmer and stained, either by algae, tannic acid, or runoff, black and gold might not be the ticket. My observations are that fluorescents show up better in stained water. There isn't as much surface light in the background. Fluorescents seem to light up better in low light, fish need a target to strike. Nitromites with fluorescent beads are killing crappies in Southern California in stained water, same in Missouri. Water temps vary through the season and warmer water affects water clarity and fish behavior. Warm water colors will be different then cold water colors. Talking colors now, but each of Jim's variables mentioned above warrants examination and maybe a compensation. Fishing Pressure. The fish are getting smarter, we keep letting them go! Imagine yourself as your chosen species at the bottom of the pond; surviving larger predators by your wits. Lurking, hungry, bored. Reacting to external influences as they're encountered. It's different for a fish these days. Education has improved. Back in the day, you made a mistake with a strike reaction, you ended up on the stringer of shame, SOOL. Your brothers might learn something, watching you expire tethered to the big thing, or seeing you disappear. It was over for you. Your learning days were over. Now days, you make a mistake, you're back in the water to reflect on your experience. Hindsight is 20-20. You start to form patterns on external influences and examine your strike behavior. You evolve. Sooo, in high fishing pressured areas, fish are doing their pattern analysis too. If the same Panther Martin that I got a sore mouth from and couldn't eat for a few days, goes by again, and again, I'm not so interested anymore. Smarter through the experience, but more hungry. When Fish Creek Armadillo flashes by, blaring its walkman, Wham! I'm a fish. I'm still gonna strike. It's my DNA! I'm a man. I'm still gonna set hooks. It's my DNA! OBN has solicited a writing prompt on Summer traditions. Here's mine. Each summer I renew our annual National Parks Pass at one of Rocky Mountain National Park's Ranger Stations, usually in July after the 4th holiday. I guess its become a summer tradition! Marie and I got Sable and Eli out of bed early and into the car headed into Rocky Mountain National Park, over Trail Ridge to enjoy a Grand Lake lunch (and sell a few spinners). It's a beautiful time in the Rockies. There's still lots of snow and the runoff leaves big white snow fields. Each beautifully bordered with gray rocks and emerging wild flowers and multi-colored green tundra. But still a lot of work to do! Rocky Mountain ice cream sandwich anyone? ﻿Many a happy survivor was out to greet the Colorado sun and the stream of visitors on Trail Ridge Parkway. and even a cow moose headed across a far side meadow, before the Kawaneche Visitor Center. Made it back to Estes valley in time to watch the sunset over the Divide. I started promoting and offering our products in Minnesota on the HotSpots forum, also known as FishingMN.com. The noisy Armadillo's catch walleye around here from the bank, but I added a couple of options to them to bridge the gap for larger waters where trolling bait is the norm. We rig them with crawler harnesses or 2 hook minnow rigs. Interested parties in SD and MN are fishing them and providing feedback. 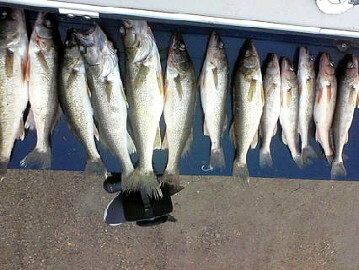 Here's the pictures of some nice walleyes that were caught in northern Minnesota in Lake of the Woods. These were caught on trolled Armadillo's with the crawler harness. 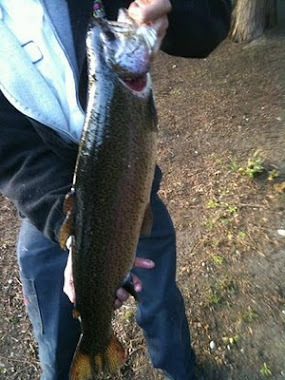 Pretty good feedback and amazing what a hook change can do for a noisyArmadillo trout spinner. Thanks for getting them in the water and the pictures Jeff! This was going to be an interview, but changed my mind. If you're ever in a place called Denver, a little run down on your luck. I'll tell about a place to go, where you can buy flies for less then a buck. Then fish like heck to cheer up. 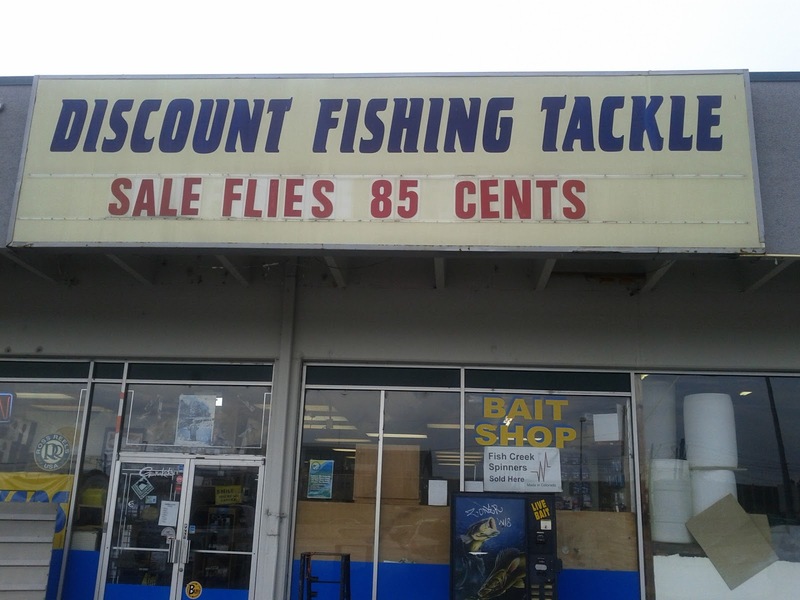 The place is called Discount Fishing on a street called Sante Fe. He owns and works the place, his name is Mike Gray. I guess that's enough with the Jerry Jeff Walker "Charlie Dunn" lyric knockoffs. Ha Ha. Mike doesn't work alone, he's surrounded by guides and guys with knowlege about fishing and the shop. 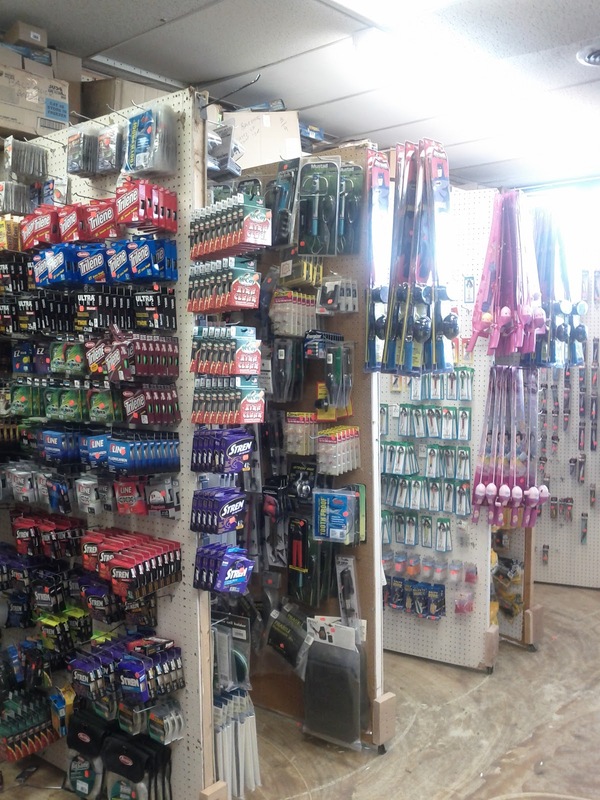 They can help you find your sought after gear stashed in all the tackle shops inventory. The kind of hand's on service you'll find is remarkable when you need it. Otherwise, join the starstruck crowd milling around in awe and enjoy the sights. I've been in the place a number of times (not as many as I'd like) and I've only brushed the surface. It's the kind of place that any outdoors person can get inspiration and stand wide-eyed surrounded (got it? I mean like a bubble surrounded) with boo koo tackle and all the tools of the trade. There's tackle on the ceiling, it's on the floor, the walls are covered with hinged racks full of spinners, jigs, hooks, sinkers, plugs, flatfish, jerkbaits, flies, rods, reels, creels, tackleboxes, hats, jackets, minnows, leeches, hair, feathers, thread, bobbins, hackels, maps, shoes, waders, boots, raingear, blades, rod blanks, leaders, line, rudders and swivels. If you've ever been to a flea market searching for a specific item, its kind of the same feeling of being pleasantly overwhelmed. About a year ago, I decided to try to get some Fish Creek Spinners on the wall at Discount Fishing. I called Mike and asked if he had any tackle components he might swap for spinners. He said he probably had some in the backroom and I should come down with some spinners and we'd look around to see if I could find something I could use in trade. I'm happy as a clam in the chaos and disarrary of tens of thousands of components. Going into a tackle shop's backroom to dig around for tackle components ( the stuff thats assembled to make tackle) sure sounded like fun. It was an invitation I couldn't refuse. 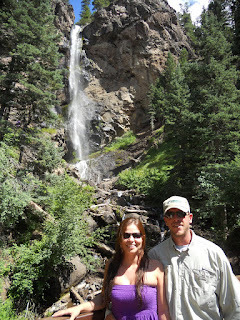 When I finally made the trip, it was a hot August day, maybe even some Colorado humidity in the air. I wandered around waiting for a break in customer activity, checking out a new rod and reel for Sable. Mike finished with a customer at the register and said "Let's check back here" and headed to the back of the shop. My head was still off imagining what I should buy, but I mananged to come to and line up behind him as he came around from behind the register fo'c'sle headed for the back. Now as a fishermen, looking around Discount Fishing, it was hard to imagine the place had a hidden underbelly. To me, it looked like everything must be out and displayed in plain view. The backroom door was hidden in a far corner, behind the minnow tanks. When that backroom door creaked open, I swear, I saw white light. Maybe I'm spreading it a little thick, but the anticipation of what might be found was certain, even if the outcome was uncertain! Mike headed back into the dark and found a light. The backroom had the smell of old cardboard. Storage shelves lined the walls and old boxes filled the shelves. Mike started handing them to me and I maneuvered back out, and began arranging potential swag and booty on the floor. He found raw lead spinnerbaits, he found boxes of lead jigs, he found boxes with trolling cowbell rudders, lots of boxes of blades, treble hooks, beads, and some mystery boxes stacked deep. My favorite. We both ended up happy, Mike moved some stagnant components and I got some space in a place I enjoy being part of. Denver fishermen can now opt to buy Fish Creek Spinners, and I started filling the blanks with purchased components to begin using the boxes of parts and pieces and enter new species markets. We're painting spinnerbaits and skirting them. Building Muskie and Pike spinners and trolling cowbells that will go back into Discount Fishing and fuel our business relationship. 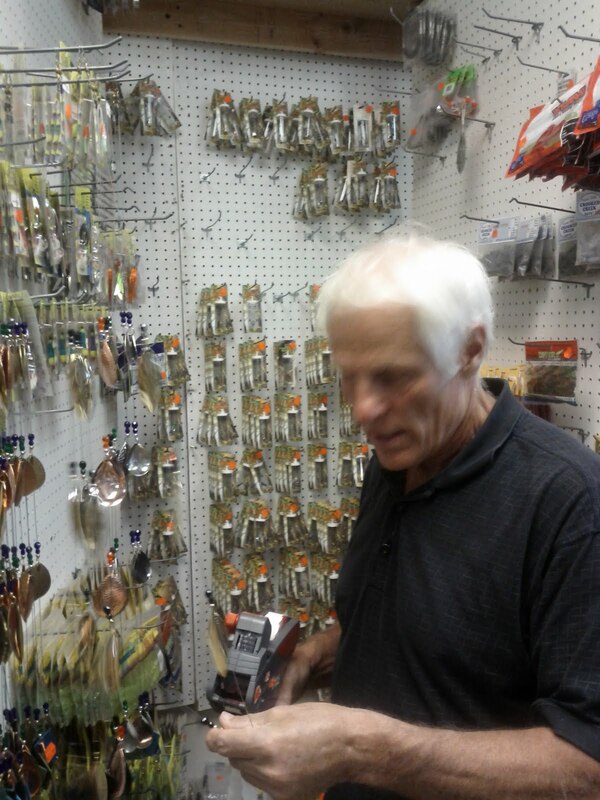 Here's Mike pricing some of our trolling cowbells. While I was here, I asked Mike where the BUDZ rudders I'm using on the cowbells came from. He said he bought them from a tackle guy like me that was getting out of the business due to an illness. He's finally getting some money out of the deal selling our cowbells, and BUDZ rudders made it out of the back room, on their way out into the countries water where any respectable piece of well made US tackle belongs. Still need Mike to take interest in some of the finished spinnerbaits , lol! Finally, if you're ever in Denver, be SURE to stop by Discount Fishing. It's an ADVENTURE you'll not forget! 19 entries in the July drawing from forums, blogs, and google. 9 from FishEnchantment.com, 4 from WashingtonLakes.com, 2 from HotSpotOutdoors.com, 2 Bloggers, and 2 emails. 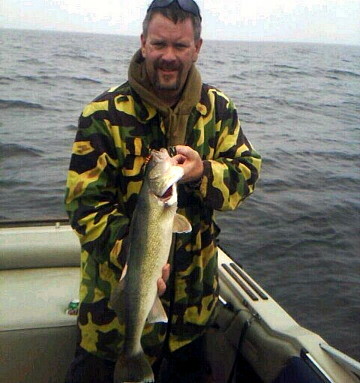 Congrats to gonefroggin and dblood1974 for winning the July Muskie spinners! Gonefroggin from FE.com gets first pick, dblood1974 from WALakes.com gets second set. Here's the July drawing for a couple nice Muskie spinners. Depending on participation, additional pairs will be added as prizes as needed. Both are about 7 inches in length, and have a stacked #2/0 treble hook riding low in the skirt. What's unique about our skirted muskie spinners going forward? Well, we're always looking to improve our products and based on comments recieved this year from customers and muskie pro's on a recent northern Wisconsin sales trip. These spinners will reap the benefit of this years lessons learned, now! According to the Wisconsin guys, they cut a lot of hooks and wanted the capability to change out hooks and save a spinner. 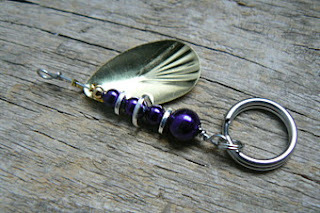 The skirted spinners will have a removable treble attached with a #3 duo lock swivel (good to 35#). This swivel allows the hook to quickly be removed from the spinner if a fish is hooked bad where hook removal would cause too much stress or exchanged for a different hook based on preference. Because its attached with a duo-lock, you can reuse the spinner by attaching a new treble or duo-locked treble, depending on what was cut. The second benefit of this hook attachment, is that the skirt can easily be changed. Just remove the swivel and hook, slide the current skirt off over it's mount and the spinners tail loop, and replace it with a different color or a replacement skirt if the current skirt is chewed up and worn. Exchangable skirts and hooks. Pretty good improvement. It's still up to you to avoid those hidden snags though, lol. Comment to enter the drawing to be held in early August. Anonymous entries need to supply an email or forum ID in the comment to be valid entries. Marie and I dropped off the grandkids in Eau Claire, WI and headed north into Musky country. Was I surprised at the size the spinners took up here. Our Dinnerbells and Hula Girls were dwarfed by most muskie baits hanging on the shop walls. 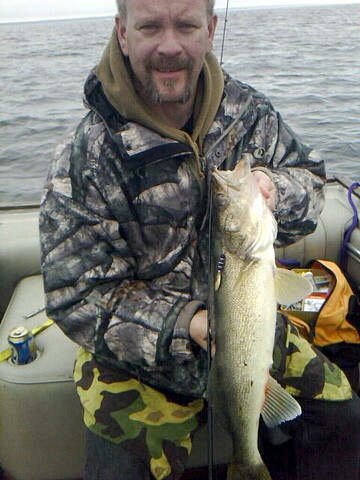 Apparently Musky's hit smaller spinners in the spring and our timing was great. US made alternatives are always appreciated and forunately, our designs were unique and our prices were agreeable. We sold every Muskie spinner I brought along (about 100) and every other spinner as well, to many a happy tackleshop owner. A lot of miles and a safe trip filled with plenty of views and memories. Successful adventure and fun trip. Here's a map of our new retail customers in the region, followed by a few pictures of tackleshops we sold to along the way. I'll write up specific businesses as I locate their pictures and get the ok to post an article. When I asked Ray where the spinners would be fished, he said, "There's 1500 lakes around here, and they all got Musky's". I'll be calling Ray again! Leaving Copper Harbor, MI enroute to Cornucopia, WI we sold some Trout spinners to Strong's General Store in Eckerman, MI. They take their July 4th holiday seriously in the UP! Last one for this post - Marie and I spent a couple marvelous days in Siskiwit bay on Lake Superior. Watching lightening over the lake at night and walking sandy beaches during the day. Great relaxation at the Fo'c'sle Inn B&B (The Inn warrants a separate post!). I sold spinners and some trolling cowbells to this quaint marina bait shop in Cornucopia, WI. This was a very successful and enjoyable trip. The grandkids loved their time with family and Marie and I enjoyed the time together on our roadtrip getaway. The Northwoods and Lake Superior were incredible and we can't wait to get back on the road again!